It is a pure myth that grown men consume lesser time than women to get dressed for an event. Men require equal amount of time to get ready in order to look subtle and smart. They put equal amounts of efforts into this process but never confirm it out loud. But does every man out there know exactly what to wear and what to avoid? Not really. Unlike women, this gender is usually very confused about dressing up in a certain way for various events. After all, they never played dress-up when they were young, right? Thus, to make their work easier, we have listed out a few guidelines and tips that you must religiously follow in order to look attractive and fine. However, these rules are stringently meant for men with heavy stubble. Clean-shaven men can go wear what their mum suggests and we are sure it’s not pretty difficult for them. However, for men with the beard and mustache that represents the testosterone fueled human being, we have a set of unique suggestions. Choosing what to wear each and every day can be challenging, but trust us when we say we have some great ideas. If you’ve been growing facial hair for a really long time, you need to find the right kinds of clothes in order to stand out of the entire crowd with your beard. Following are the best attires that we have handpicked for your style and class and for diverse occasions. Print it, stick it, memorize it. Dark colored beards: If you have a dark colored beard, brown or black, you can pretty much wear anything. If you decide to wear dark colored clothes with that heavy beard it might overshadow your face and the energy you have put into growing the facial hair. Thus, we suggest you keep it light while picking shirts or tees so that it is your beard that stays in everyone’s focus. Your attire will definitely tend to blend in to that dark backdrop. Moreover, you will look extra desirable in pictures, too. Best tip: Go for a white tee or shirt with a light colored denim jean, an expensive looking watch and a pair of glares. You should be good to go. 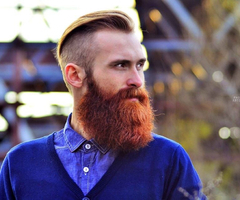 Blonde colored beards: If you have a blonde beard then you can wear all the bright colors in the world really. Mostly go for a yellow and orange tee, something that is very bright and can make you stand out. Blue too might suit you well. A light colored jean with it or maybe a formal pant and you will look like the best-looking soul at the gig. Most importantly, avoid wearing anything in gray as it might make you look sick or drab. Ginger beards: These are the hottest kind. If you are growing a ginger beard, you can literally walk around wearing your pajamas and leave several women killed, but we are talking about you looking beyond God-like here. So, preferably go for something very mature, confident and sophisticated. Since your beard is a unique mix of crimson and orange tones, you need to wear something that is in-between. Avoid using red or green colors as it might look too off and in the face kinds. A better option would be a shade of red which is maroon. You can wear light colored bottoms with a maroon shirt or tee and come across as a person who has hardly put any efforts into this, but end up looking the best. 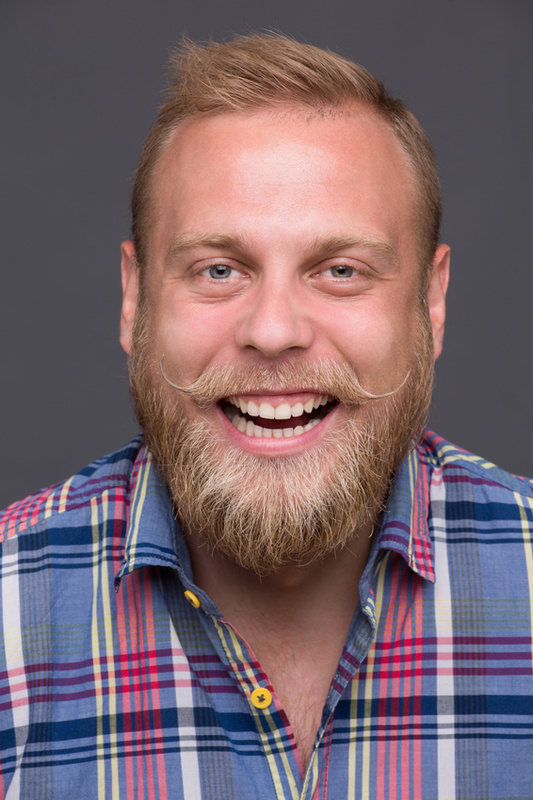 Remember, wearing a beard is not rocket science, but choosing right clothes to go with the facial hair definitely is! Therefore, do not make any errors here.